Mikli eyewear reflects the high-end style sensibility of creator and designer Alain Mikli, who began his line of handmade eyeglasses in 1978. The line features unique colors and shapes inspired, Mikli claims, by his Armenian/Lebanese heritage, and has become a favorite among avant-garde European and American celebrities such as Kanye West and Elton John. 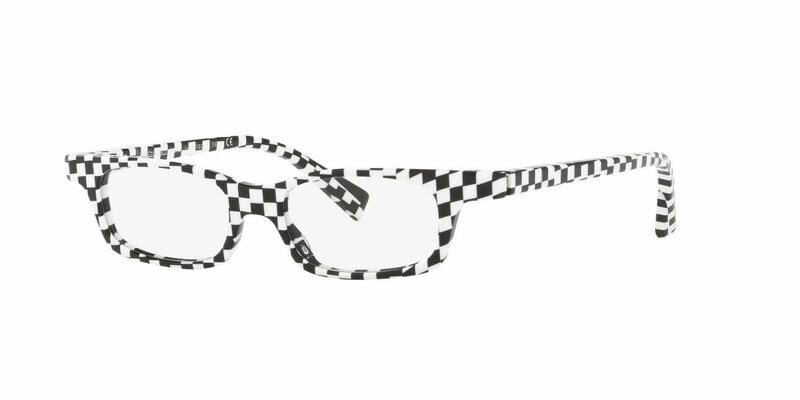 Falling equally into the retro and modern realms, Mikli eyewear is brazenly fun, definitely edgy, and unabashedly different, setting the wearer apart as someone who's ready to jump headfirst into life and all of its exciting eyewear options. Alain Mikli A03096 - Jacno is a Full Rim frame for Men and Women, which is made of Plastic. Alain Mikli A03096 - Jacno Eyeglasses come with a cleaning cloth and protective carrying case.